Obesity is associated with many conditions. It is in this respect that the increasing numbers of obesity around the world are a major public health concern. The spike in those numbers does not only concern adults but children a well. There is a need to identify those factors that expose us to the risk of becoming obese. 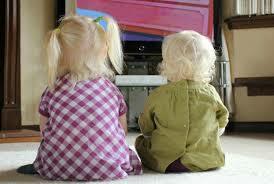 The current article is based on an analysis of studies on the link between TV watching and childhood obesity. The relationship between watching TV and obesity was quantified as follows: Each extra hour of viewing per day led to an increase in the risk of obesity by 13%. 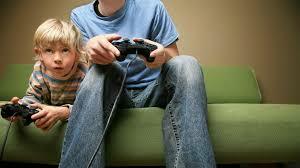 In children specifically, obesity and TV viewing were observed to be linearly related. Meaning that the more a child watches the more the probability of obesity increases. Risk level was more or less the same between boys and girls. Why does TV watching lead to increased chance of obesity? There are a few possible explanations. One is that many eat while watching TV. As was described in a previous article, when eating and watching we tend to overeat, this usually occurs in the form of energy dense foods which fatten more for a given quantity. Another reason is that the more time we spend in front of a screen the less time we want to spend undertaking physical activity. Physical activity and viewing seem to be negatively related. Furthermore it looks as though TV watching is associated with other “sitting down” activities like for example video gaming. A third reason is that a significant part of the viewing experience comes in the form of commercials, and many of those are food commercials which increase appetite and compound to the overeating mentioned above. Lastly people in general and children in particular who watch a lot of TV and play video games a lot tend to disrupt their sleeping patterns. Sleep deprivation can also contribute to overeating. Keeping TV watching at a minimum while having in mind the mechanisms described above can lead to important benefits in terms our health. Gang Zhang, Lei Wu, Lingling Zhou, et al. (2015) Television watching and risk of childhood obesity: a meta-analysis, European Journal of Public Health, Epub ahead of print.